Anyone have any experience with this soil, I've been seeing it at few LFS. Is this the same as the controsoil that's in a white and blue bag? 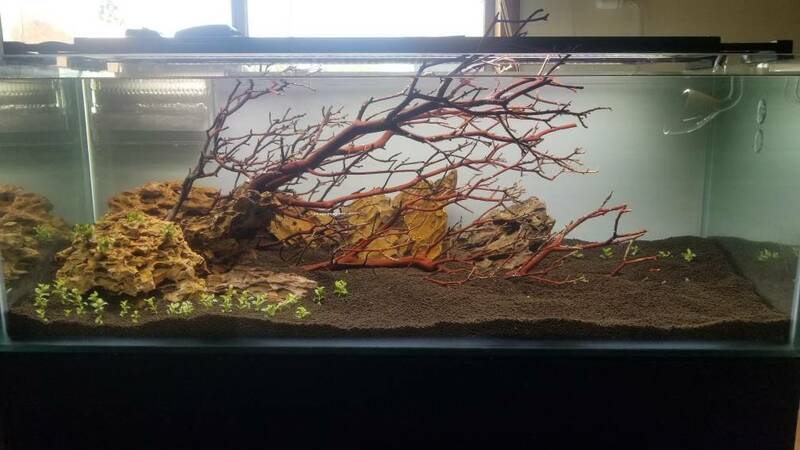 I just started using it in my 40long. It's pretty nice. The black looks brownish and the brown looks like super light brown. So far my plants seem to be doing well and its buffering my ph to 6.3ish. I have no complaints. Ultum Nature bought the ControSoil brand and have improved and expanded it. Its a really good soil and more readily available than ADA. Cheap and buffers well. I think Ada is still a bit better for plants but my prls don't seem to mind it. Only thing is I would get the bigger pellet size next time. I got the fine version and my bigger shrimp are digging and carrying the pellets around making a mess of my scape :/ Also to note with nitrying bacteria I was able to cycle the tank in about 2 days, held the ammonia at 0 for a week just to be safe, but seem to not leech excessive amount of ammonia like Ada. Overall would buy it again especially during the meet sales when it gets pretty darn cheap.